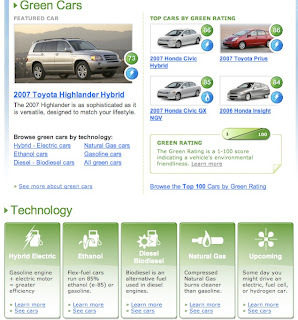 I found a cool car resource at Yahoo Auto called Green Center. Looks like it has lots of cool tools and information about the car issue. I am going to jump in and see what I learn.